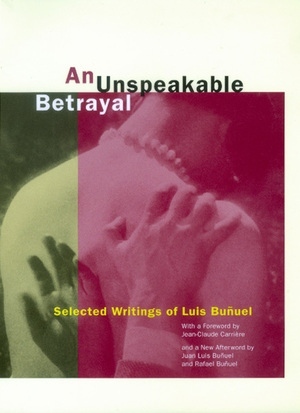 Although Luis Buñuel, one of the great filmmakers of the century, was notoriously reluctant to discuss his own work in public, he wrote--and wrote well--on many subjects over the years. This collection proceeds chronologically, from poetry and short stories written in Buñuel's youth in Spain to an essay written in 1980, not long before his death. Newly translated into English, the writings offer startling insights into the filmmaker's life and thought. The earliest pieces came well before Buñuel joined the Surrealist movement in Paris and created the landmark film Un chien andalou with Salvador Dalí. Yet these and the early Surrealist writings reveal the inventiveness of the mind that would later create such masterpieces of cinema as L'Age d'or, Los olvidados, Viridiana, The Milky Way, The Discreet Charm of the Bourgeoisie, and That Obscure Object of Desire. Later writings, which include screenplays and reflections on his own and others' films, illuminate many aspects of Buñuel's career, as well as the ways of thinking and perceiving that underlie his unique cinematic style. The final essay by this extraordinary artist sums up his view of the world--still vibrant and full of contradictions--at the end of his life. Luis Buñuel (1900-1983) is regarded as one of the most accomplished directors in the history of cinema. His celebrated collaboration with Dalí in 1928 was followed by a career as a filmmaker that spanned fifty years. Garrett White is a translator and film and art journalist. He translated and wrote the introduction for Blaise Cendrars's Hollywood: Mecca of the Movies (California, 1995).